View the events below to find out more info on how Kaniewski Funeral Homes is involved with with community. 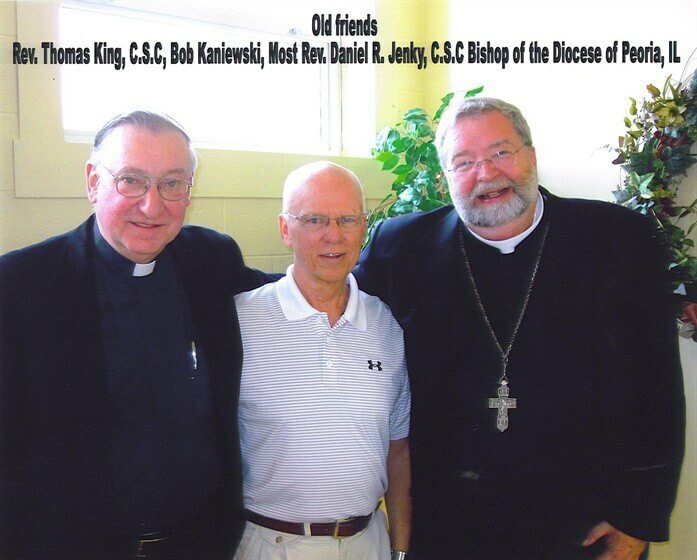 The South Bend Knights of Columbus Archbishop John Carroll Council #5570 is a Catholic Men's Fraternal organization. We have dedicated ourselves to (5) areas of service: Family, Fellowship, Faith, Community and Youth. In support of our youth and faith service goals, we have begun fund raising activities and then the subsequent awarding of scholarships for Catholic Elementary School students. This year's scholarships were awarded July 27, 2009 at our Linden Ave. Council Chamber on South Bend's West side. The recipients of $1,000 scholarships for 2009-2010 school year were Paige Pajakowski, a 5th grader at Corpus Christi School and Madison Singer, a 6th grader at Holy Family School. 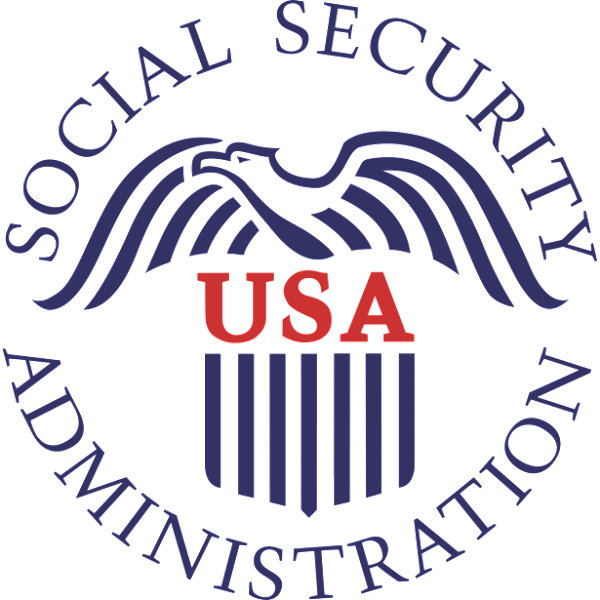 Paige is the daughter of John and Francine Pajakowski of South Bend, and Madison is the daughter of Scott and Jennifer Singer, also of South Bend. We wish Madison and Paige the best as they continue their education in the South Bend/Fort Wayne Diocesan Catholic School system. We, the members of Knights of Columbus Council #5570 wish to express our heartfelt thank you to the Kaniewski Funeral Home to help make this scholarship possible. Compassionate Friends Golf Outing 2011 at Hampshire Golf Course in Dowagiac, Michigan. 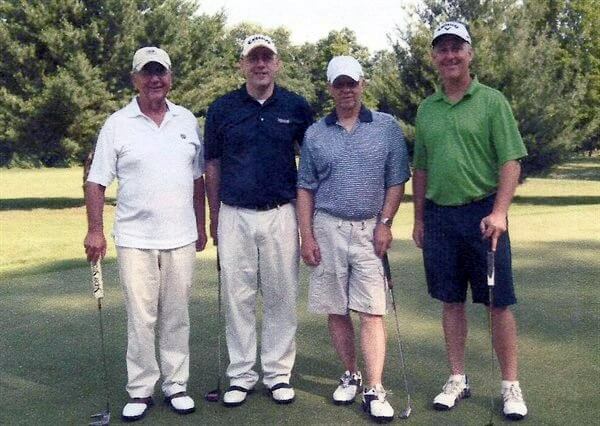 Our foursome came in second place at the 5th annual golf event. Veterans Appreciation Day at Coveleski Stadium in downtown South Bend, August 28, 2011. We were honored to be a part of this great day! 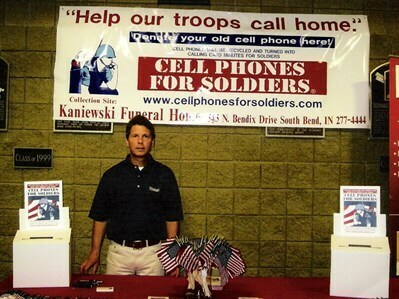 We collected cell phones for our soldiers and had fun handing out American flags to all the patrons. Kroc Center Grand Opening in downtown South Bend, January 28, 2012. Kaniewski Funeral Home was privileged to be a part of the kickoff festivities and welcomes this great world class recreational facility to our community. 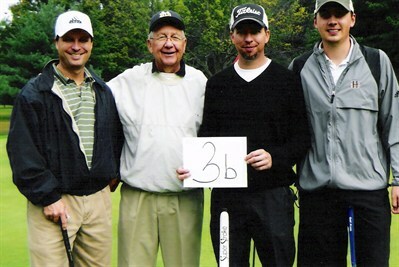 Team Kaniewski supporting the Compassionate Friends Organization at their annual golf outing. 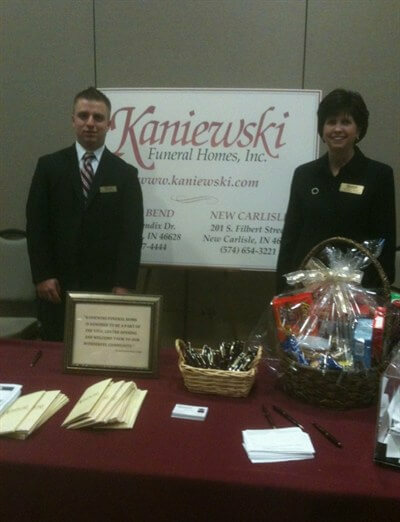 Kaniewski Funeral Home was honored to be a sponsor of Oaklawn Hospital's Mental Illness Awareness Week 2015 Program which took place on October 7, 2015 at the Palais Royale in South Bend. 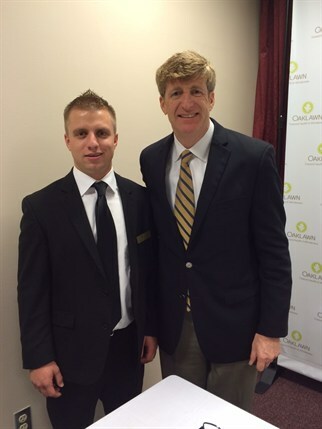 The Honorable Patrick J. Kennedy, son of the late Senator Edward "Ted" Kennedy was the featured speaker and discussed his new book "A Common Struggle," which outlines a bold plan for the future of mental health in America. 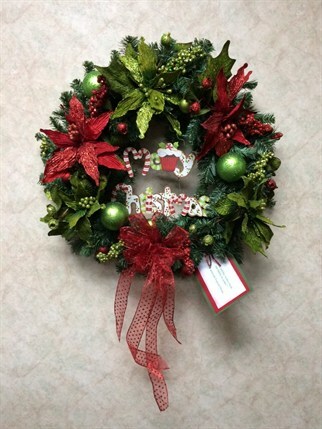 Sherry Kent designed this beautiful wreath to auction off at the Hearth at Juday Creek Christmas Wreath Party to benefit the Granger Community Church Food Bank. 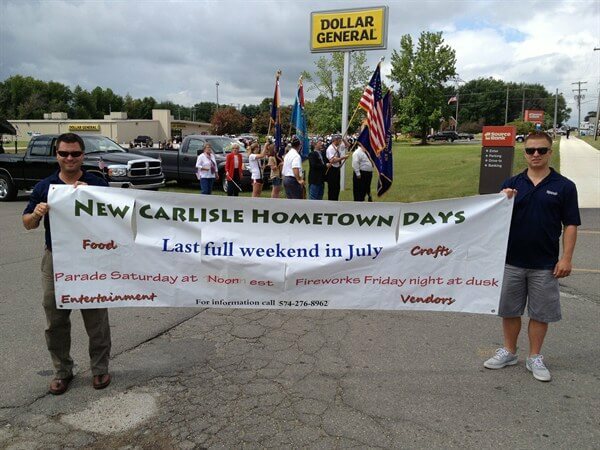 This is the third consecutive year Kaniewski Funeral Home has participated in this wonderful event.